For-profit chain HCA Healthcare's net income jumped 25% during the second quarter of 2018, beating key earnings predictions from Wall Street analysts, according to its earnings release Wednesday. Net income attributable to Nashville-based HCA increased to $820 million in the quarter ended June 30, from $657 million in the second quarter of 2017. Revenue increased 7.4% in the quarter to $11.5 billion, compared with $10.7 billion the prior year. It was a strong-volume quarter for the company, too. Same facility admissions increased 2.7%, while same facility revenue per equivalent admission jumped 3.6%, which executives attributed to a higher acuity patient mix. Outpatient surgeries increased 2.6%. Emergency room visits were down 0.8% in the quarter. Sam Hazen, HCA's chief operating officer, told investors on a call the decline didn't affect HCA's profitability, because its admissions through emergency rooms increased in the quarter, "reflecting the higher acuity patients we're seeing in the emergency room." Competition is growing among emergency and urgent-care providers in some of HCA's markets, Hazen said. It's possible that HCA, which operates 178 hospitals, is losing emergency room patients to its own outpatient facilities, he said. "Some of our investments are potentially cannibalizing some of our business because all of the declines are in the lower acuity levels of business," Hazen said. The company's adjusted earnings before interest, taxes, depreciation and amortization increased 6.6% in the quarter to $2.2 billion. 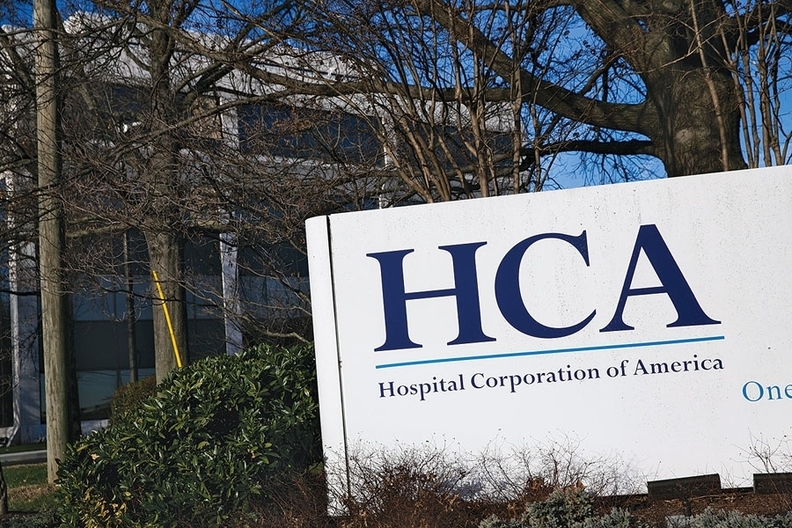 HCA's performance was boosted by a $192 million tax benefit in the six months ended June 30 due to its lower corporate tax rate under the Tax Cuts and Jobs Act. The strong quarter prompted HCA to improve its internal performance guidance for 2018. The company increased its revenue prediction by $500 million to between $45.5 billion and $46.5 billion. Adjusted EBITDA and earnings per share also grew. Capital expenditures will remain at $3.5 billion during the year.